Does Your Roof Have Atlas Chalet Shingles? One of the most important things you need to think about with your home is the integrity of your roof. When there are problems with your roof, you can have problems with the rest of your home. This is especially a concern for homeowners whose roofs were built with Atlas Chalet shingles. These shingles have been at the center of controversy and the subject of a class-action lawsuit over the last few years as customers have come forward saying they crack and blister prematurely. What Are Atlas Chalet Shingles? 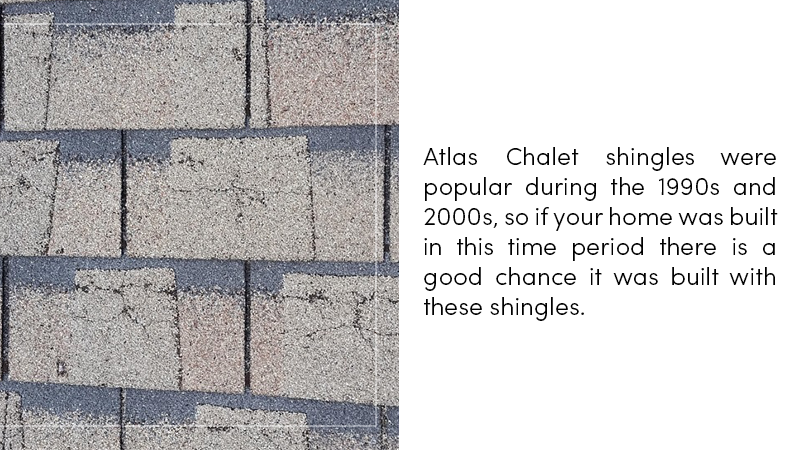 Atlas Chalet shingles were produced by the Atlas Roofing Company in the 1990s and 2000s and were extremely popular among builders. They are three-tab faux architectural shingles — the company laminated an extra layer of ceramic granules in strategic locations on the shingles giving them a three-dimensional appearance. Chalet shingles were marketed as an affordable way to get the look and security of a true architectural shingle but at a fraction of the cost. Atlas was so proud as to even match the 30-year warranty offered by most standard architectural/dimensional shingle manufacturers. Unfortunately, there was a hiccup in manufacturing. During the process of layering the granules, very small bits of moisture became trapped between the layers. After installation, when the shingles were exposed to numerous seasons of hot and cold this moisture would create blisters in the second layer of granules. These blisters would eventually burst and leave small cracks and craters in the double layered areas of the shingle. This is where the conspiracy begins. When an insurance claim has been placed on these shingles for any reason, most insurance companies have declined the claim due to a manufacturer defect. On the other hand, Atlas states that the damage is only in the second layer of the shingles and that the main protective layers are still intact. Therefore, Atlas’ position is that it is merely a cosmetic issue and not a problem of function. Due to the following lawsuits and continual complaints in 2008, the company announced rather abruptly that it would no longer make Atlas Chalet shingles. It was a marketing decision, the company claimed. But the resulting media reports and customer complaints showed that the shingles were not holding up like the company promised. The shingles were blistering and cracking well before 30 years, and in some cases, it was occurring within just a year. Homeowners with Atlas Chalet shingles were facing serious damage to their roofs, and they wanted answers. How Do I Know if My Roof has Atlas Chalet Shingles? The biggest problem with these shingles is that many homeowners are unaware that they have them on their home, leaving their roofs and their homes vulnerable. So how do you know if your roof is made from Atlas Chalet shingles? First, consider the age of your home. The shingles were popular during the 1990s and 2000s, so if your home was built in this time period, there is a good chance it was built with Atlas Chalet shingles. Next, take some time to inspect your roof. Are you missing any shingles? Are there any holes, dents or bruises? If you have what seems to be an inordinate amount of problems with your roof despite it being relatively young, that’s a red flag. At this point, it’s time to call roofing contractor like L&L Contractors to come and check things out. 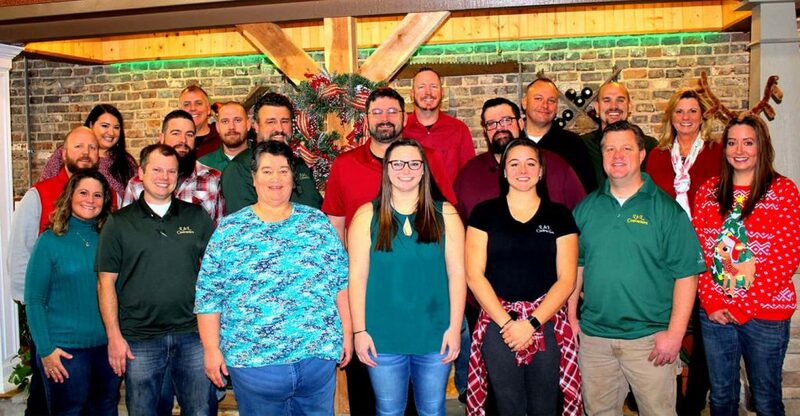 Our staff will be able to confirm if you have Atlas Chalet shingles and help you take the next steps to getting your roof fixed. How Do I Repair My Roof? 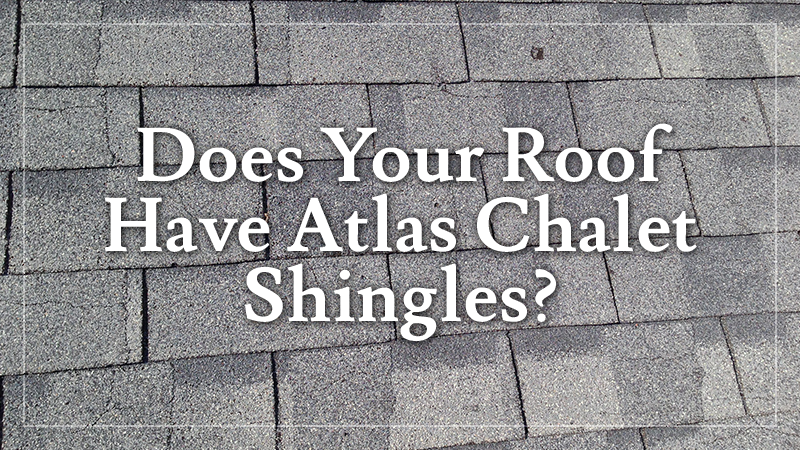 The bad news is that you won’t be able to simply “repair” your roof if it was made with Atlas Chalet shingles. The company no longer makes the shingles and there isn’t anything comparable on the market today. If you have Atlas Chalet shingles, your entire roof will need to be replaced. The good news is now that some time has passed, insurance companies are realizing the position the homeowners are in, and many of them are now beginning to cover these shingles despite the issues in question. The next step is to find a quality roofing contractor to replace your roof. At L&L Contractors, we pride ourselves on professionalism and customer service. We have compiled a team of some of the most experienced craftsman in the industry, so you can trust us to do the job right. 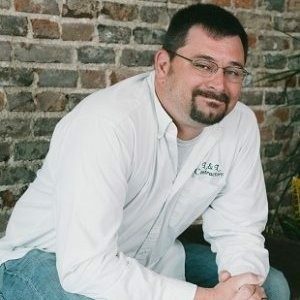 We will work with you to find the best option that fits your home style as well as your budget, and we will use a product that has a great reputation in the marketplace so you don’t find yourself going through all of this again in a few years. When you are ready to look at replacing your roof with a safer and more sustainable roofing material, contact L&L Contractors. We provide free inspections as well as free estimates. Call us today to schedule a roofing consultation.